Marcel drives the digital strategy of Novartis Social Business and heads the SMS for Life program (that aims to eliminate stock-outs of essential medicines through simple, affordable and widely available technologies in of Low and Middle Income Countries). 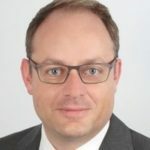 He worked as Program Director at the UBS Optimus Foundation and previously as a “Corporate Donations Expert” at F.Hoffmann La-Roche, during which time he carried out numerous CSR activities and also supported the global donation activities of the company and affiliated foundations, including as a member of the Foundation Board. As a qualified pharmacist with additional degrees in business administration and CSR, he has acquired extensive experience of health projects around the world. He worked as the National Pharmacist for AusAID on the Pacific island nation of Vanuatu. As part of a mandate from the Swiss TPH, he monitored vaccination data for GAVI and the program implementation in various African countries for the Global Fund. Pharmacists without Borders sent him to Tajikistan and he worked in hospitals in the Mekong Delta. As a member of the Medicine workgroup of the Swiss Humanitarian Aid Unit (SHA), he is available for deployment, as for example in the case of the earthquakes in Nepal in 2015. He worked for Ernst & Young as a Forensic Auditor for five years, investigating white-collar crime and corruption. Marcel is member of the foundation board at the “Calcutta Project”.